Hot Springs' famed Bathhouse Row. 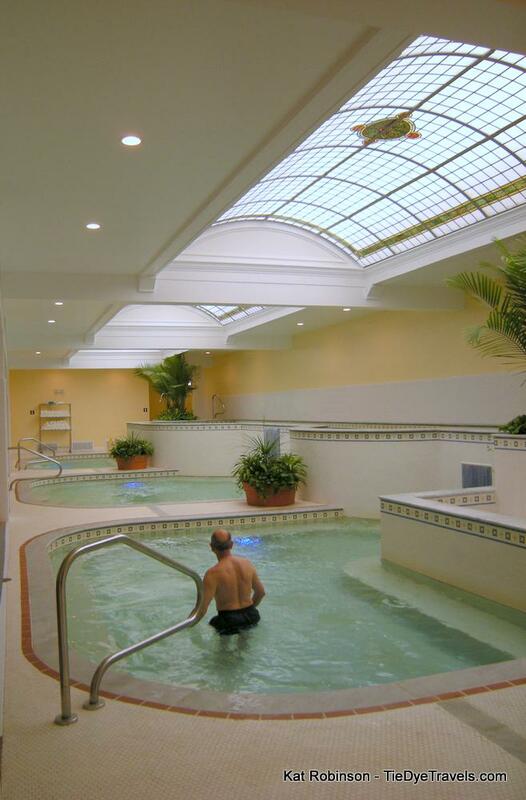 Touring the Fordyce Bathhouse with the kids may be a great summer activity, but when they're at school during the day, take the opportunity and enjoy a luxurious spa experience. Go old school a the Buckstaff Baths, where service is still the same after decades. Try a combination of bath and massage at the bathhouse within the Arlington Hotel, or go for a public bath at the Quapaw Bathhouse. Elk watching. The majestic beasts that call the upper Buffalo River Valley their home are a sight to see. Head to Newton County and enjoy a quiet, stunning morning as the dew rises, without the kids griping about early rising or wanting to leave after a few minutes. Enjoy the solitude. 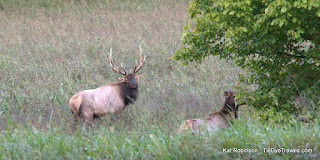 Find out where to go to watch the elk, here. Enjoy a good murder mystery. Several Arkansas bed and breakfasts host weekends specifically for mystery lovers. Book a weekend with your friends at the Ozark Country Inn in Mountain View, the Olde Stonehouse Bed and Breakfast in Hardy, the 1884 Bridgeford House in Eureka Springs or the 1881 Crescent Cottage Inn in Eureka Springs and experience the thrill of the hunt as you determine WHO DUN IT. Spend some time alone. Whether you're coupled up or traveling solo, fall offers great opportunities for folks who travel without kids, especially during the week. Here's a list of secret romantic getaways across Arkansas, where you can have a splendid time. Fayetteville Ale Trail. Eight breweries in northwest Arkansas... and a passport. Pick up yours and get it stamped at each of those great breweries, and you'll get a commemorative glass. Best of all -- there are now guided tours and buses coordinated to get you to each one safely. Let someone else do the driving. More information on the Fayetteville Ale Trail. Be an Art Lover. 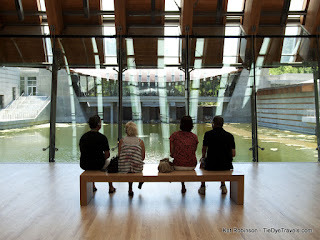 Crystal Bridges Museum of American Art is even more romantic when the kids are in school. Take a lazy day and spend it within the museum's air conditioned galleries, then enjoy an evening dining at one of Bentonville's world-class restaurants.